Megabus has suffered several bus crashes in the last few years, which have, in many cases, led to personal injury lawsuits. The latest Megabus crash occurred in Indiana, when a bus full of passengers bound to Chicago from Atlanta rolled over injuring many of the 70 passengers inside. Plaintiff Dyrell Lee filed her personal injury lawsuit against the bus company in Cook County Circuit Court of Illinois. She is a resident of Hamilton, Georgia. Around 5:30 AM on December 20th, the Megabus on route between Atlanta and Chicago rolled over and came to rest on its side after the driver lost control over the vehicle. Reportedly, several other collisions occurred in the area due to a light snowfall that created slick or icy conditions on roads. “The accounts that we’ve heard from the passengers have been consistent. They have all told us that they felt the driver was speeding and driving too fast for the conditions,” Lee’s attorney said regarding the personal injury lawsuit. 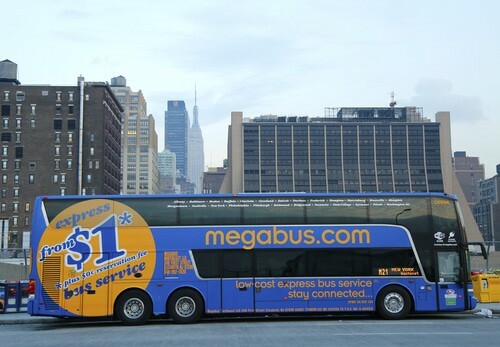 This is far from the first personal injury lawsuit that Megabus has faced. In August 2012, for example, a Megabus on route to Chicago blew out a tire which led to dozens of injuries and one death. Although the driver was credited for not reacting in a way that would have caused further severe injuries, the bus itself suffered from lack of maintenance. One week later, however, another Megabus in downtown Chicago struck and killed an elderly woman. The day after that, a Megabus headed to Charlotte, NC caught fire. On Tuesday morning, October 14th, 20014, a Megabus bound for Chicago suffered a severe crash that left at least 26 of the 56 passengers injured, with 6 of those injuries considered serious. A total of 18 people had to be taken to area hospitals after the crash. Four of the passengers filed personal injury lawsuits against the company. Lee’s personal injury lawsuit requests $100,000 for medical bills and lost wages related to the Megabus accident. Our law firm has experience dealing with automobile accidents and insurance companies and can help ensure you receive fair compensation for all your injuries; current and future. Even those cases which do not involve life altering injuries or complex legal questions are often defended aggressively by insurance companies. The insurance companies who most often defend at-fault drivers spend millions of dollars teaching their adjusters how to successfully deny claims. Do not let insurance adjusters take advantage of the situation by settling your claim for as little as possible. If you have been in a car accident it is important that you understand your legal rights. Our qualified Georgia car accident attorney can help you recover financial losses and give you peace of mind.